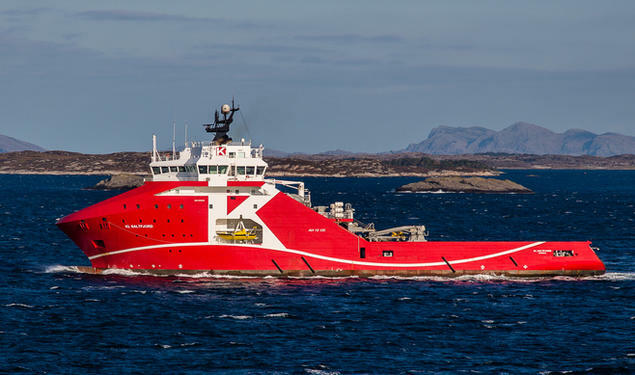 KL Sandefjord is a large powerful Anchor Handler built by STX (Vard) for operations in harsh environment. Bollard Pull of 390 tons, large chain and fiber capacity, fitted with IKM WROV in hangar, makes the vessel ideally suited for pre-lay and other high-tension work. 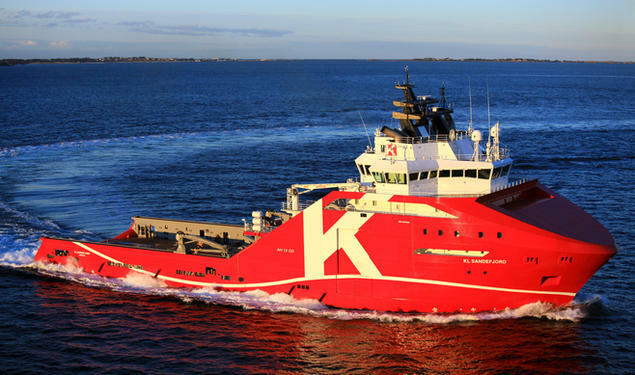 KL Saltfjord is a large powerful Anchor Handler built by STX (Vard) for operations in harsh environment. Bollard Pull of 397 tons, large chain and fiber capacity, fitted with IKM WROV in hangar, makes the vessel ideally suited for pre-lay and other high-tension work.